Recently, Motorola announced its first smartphone powered by Intel’s Medfield processor, the Razr i, and it’s an important device for both companies. For Intel, it represents the very first Atom-powered phone to come from a “big-name” manufacturer, and for Motorola it marks a return to Europe, a market it has neglected in recent years. Motorola signed a “multi-year, multi-device” partnership with Intel in early January and so far it has the best end of the deal, as the Razr i is not only good-looking, but it’s capable too. Intel however, doesn’t seem to be making in-roads into the ARM-controlled mobile chipset market, and thanks to the Razr i’s limited initial release — it’s out in the UK, Germany, France, Brazil, Argentina and Mexico next month — the only Intel phone that people might actually want to buy may not be available where they live. What Intel needs is a new best friend — someone who is also trying to break into a market with which it has lost touch. Right now, that company is Research in Motion, which is doing a decent job of talking up BlackBerry 10, but neatly avoiding the subject of the accompanying hardware. 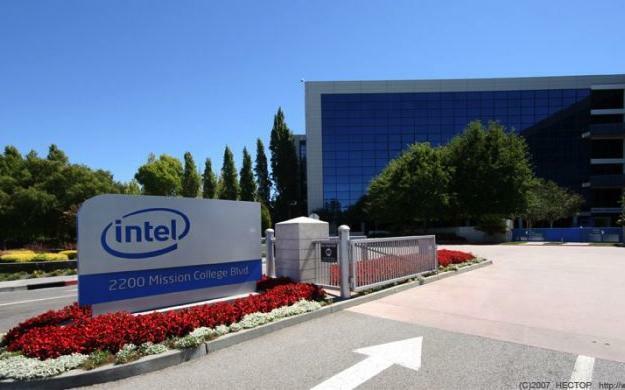 Both it and Intel have challenging times ahead and a partnership could be mutually beneficial. One could argue that it’s still early days for Intel, but is it? Intel shouldn’t have missed the smartphone boat. We’re talking about the best known PC chip manufacturer on the planet, with decades of experience here. Medfield wasn’t announced yesterday either. Intel has been chatting about its Lenovo and Motorola partnership as far back as CES in January and MWC in February. If Intel wants its processors to challenge the dominant ARM mobile chips, then it needs to get its act together, because the mountain it needs to climb is huge. ARM controls 95-percent of the mobile market and more than 270 companies are licensed to use its architecture. Its performance reflects this, and its 2011 revenue climbed 24-percent over 2010 to $785 million, exceeding expectations. To make matters worse for Intel, ARM is slowly but surely pushing its way into the PC market too, thanks in no small part to Microsoft’s decision to support ARM architecture with Windows 8 RT. ARM’s CEO has stated he wants to own between 10 and 20-percent of the notebook market by 2015. Unsurprisingly, ARM has played down Intel’s move into its primary business, saying it expects the company to take only about 5 to 10-percent of the smartphone market share “within a few years.” Intel has remained tight-lipped concerning its own expectations, but as forecasters are predicting a downturn in its PC business over the coming years, mobile is only going to become more important. Intel dominates the PC processor market in the same way ARM does with mobile, with estimates putting Intel’s share at around 80 percent; however, analysts are predicting tough times ahead, with an Endpoint Technologies researcher quoted as saying “the outlook looks grim right now through the new year.” Smartphone and tablets though, are experiencing considerable growth. So, it’s clear that one device from one manufacturer, plus a few others scattered around the globe, probably won’t bring the success Intel desires. Motorola is a great partner to have, especially because of its new owner, but Intel needs to split the Atom between a few other big companies too. Samsung and LG were linked with Intel last year, but nothing has come of it, and HTC has remained quiet as well. Research in Motion has always used a variety of processor manufacturers, so why not Intel? After all, it needs all the help it can get right now. Could Intel save RIM, and vice versa? Research in Motion is nervously treading water ahead of BlackBerry 10’s eventual release. If it’s not in talks with Intel, or at the very least considering a switch, then it should be. A long time ago, RIM used Intel 386 chips in its early BlackBerry 950 and 957 handsets, then in 2005 trumpeted another deal with Intel, where it would use its XScale architecture (which is ARM-based anyway) and “Herman” chips in future BlackBerry devices. BlackBerry 10 phones are expected to use ARM architecture and chips from Texas Instruments or Qualcomm, but imagine for a moment the impact of the news that RIM had switched to Intel. The relationship is there, it just needs to be reinvigorated. The mobile industry thrives on partnerships, from Sony and Ericsson to Microsoft and Nokia. Right now, a new friend would go a long way to helping Research in Motion overcome public perception, and Intel to add another big name to its list. It makes good sense for Intel too, as RIM is placed third — and rising — in terms of market share in India — an important emerging market — behind Nokia and Samsung. It also made it very clear during BlackBerry 10 Jam that emerging markets were high on its list of priorities, and as Intel has already partnered with Lava to produce the Xolo Android phone in India, we’re assuming it is for Intel too. The combination of both Atom-powered BlackBerrys and Android phones could see them on their way to a significant slice of the market. RIM on the other hand, needs a differentiator, something to make its BlackBerry 10 phones standout in amongst iPhone 5s, Jelly Beans and Windows Phone 8. Packing in a 2GHz Atom chip could do exactly that. Plus, with Texas Instruments taking a step back from the mobile market, a gap has opened up at RIM into which Intel could neatly slip. Yes it would be a risk for both parties, and would require plenty of adjustment on RIM’s side, but that could be exactly what’s needed to push forward in today’s fiercely competitive mobile market.